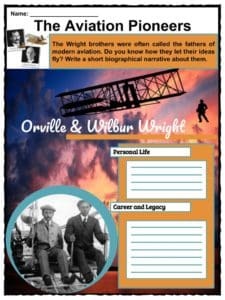 The Wright brothers, Orville and Wilbur, were two American brothers, inventors and aviation pioneers who invented and built the world's first successful airplane. 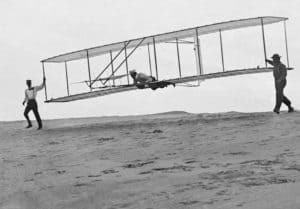 The Wright brothers, Orville and Wilbur, were two American brothers, inventors and aviation pioneers who invented and built the world’s first successful airplane and made the first controlled, powered and sustained heavier-than-air human flight, on December 17, 1903. 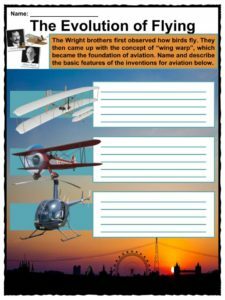 See the fact file below for more information on the Wright brothers or alternatively, you can download our 23-page Wright Brothers worksheet pack to utilise within the classroom or home environment. 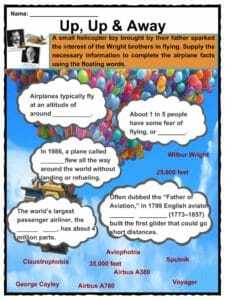 The Wright brothers were two of seven children born to Milton Wright of English and Dutch ancestry, and Susan Catherine Koerner of German and Swiss ancestry. Wilbur was born near Millville, Indiana, in 1867; Orville in Dayton, Ohio, in 1871. The brothers never married. Both brothers attended high school but did not receive diplomas. The family’s abrupt move in 1884 from Richmond, Indiana, to Dayton, Ohio, where the family had lived during the 1870s, prevented Wilbur from receiving his diploma after finishing four years of high school. The diploma was awarded posthumously to Wilbur on April 16, 1994, which would have been his 127th birthday. In December 1892 the brothers opened a repair and sales shop as the Wright Cycle Exchange, later the Wright Cycle Company, and in 1896 began manufacturing their own brand. They used this endeavor to fund their growing interest in flight. In the early to mid-1890s, they saw printed articles and likely photographs of the dramatic glides by Otto Lilienthal in Germany. The brothers observed birds and how they angled their wings to balance and control the body when flying. They came up with the concept of “wing warping”, which they applied as a movable rudder. 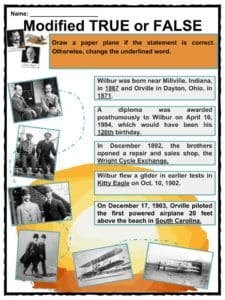 On December 17, 1903, Orville piloted the first powered airplane 20 feet above in the beach of North Carolina. It lasted for 12 seconds and covered 120 feet. They wrote to the U.S. government, then to Britain, France and Germany with an offer to sell a flying machine, but were rejected because they insisted on a signed contract before giving a demonstration. They were unwilling to even show their photographs of the airborne flyer. By July 1909, Orville demonstrated flights for the U.S. Army and sold the plane for $30,000. They designed a new model with a passenger seat as demanded by the U.S. Army. Before returning to the United States, Orville made public flights in Europe and began selling their planes. 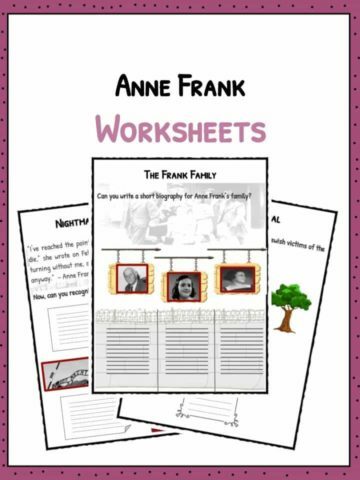 They were famed by journalists, statesmen, royals and celebrities in Europe. The Wright Company was incorporated on November 22, 1909. They sold their patents to the company for $100,000 and also received one-third of the shares in a million dollar stock issue. The brothers became wealthy business owners and began building a mansion in Dayton, Ohio, where they spent much of their childhood. On May 25, 1910, Orville flew for six minutes with Wilbur as his passenger. It was their first and only flight together. Today, the Wright brothers are considered the fathers of modern aviation. 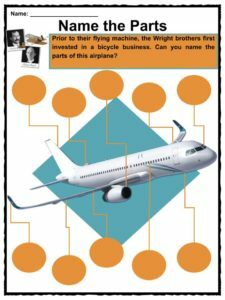 They closed contracts for airplanes in Europe and the United States. 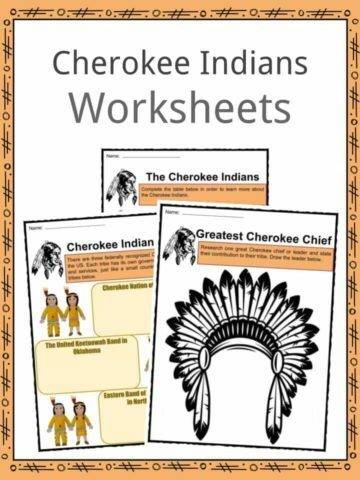 Throughout their lives, the brothers always shared credit in their invention and innovations. Despite the division of labor, they maintained a close relationship. In April 1912, Wilbur was diagnosed with typhoid fever and died on May 30. With the death of his brother, Orville took on the presidency of their company and sold it in 1915. Orville spent three decades of his life serving in committees including the National Advisory Committee for Aeronautics and National Aeronautics and Space Administration. On January 30, 1948, Orville died after his second heart attack. Both brothers are buried in the family plot at Woodland Cemetery, Dayton, Ohio. In 1900, the Wright brothers first tested an unmanned glider and flew it like a kite. 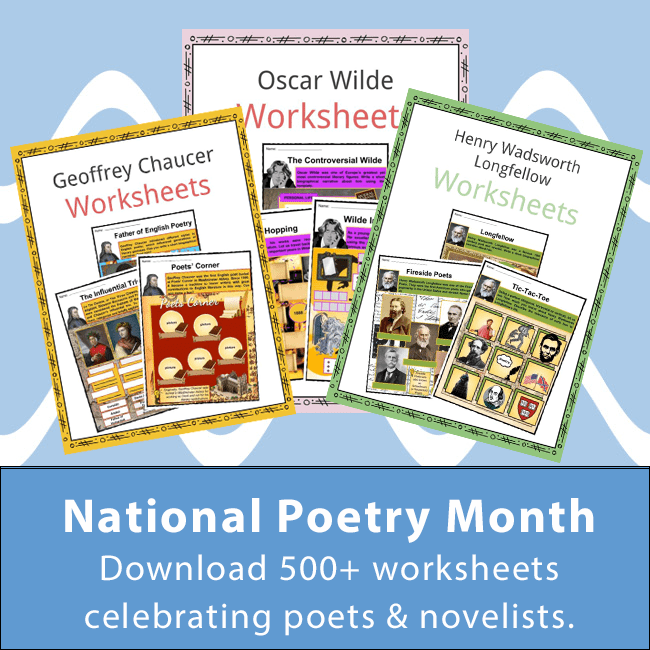 After a collaboration with Octave Chanute, builder of the Chanute-Herring Double-Decker, Orville and Wilbur built a manned biplane glider that was larger to carry more weight. They chose the sand dunes at Kill Devil Hills for high winds and soft sands. Between October to December 1901, they conducted several aerial experiments to learn the effects of airflow over different wing shapes. After their findings using the wing tunnel, the Wright brothers built a new glider with a 32-foot wingspan. The new biplane-design glider was tested and flew for 26 seconds at 622 feet. They replaced the tail with a movable rudder. Upon the success of the new glider, they decided to build a powered flying machine, which could fly over long distances. For six weeks, Charlie Taylor built the four-cylinder aluminum engine based on the designs of Orville and Wilbur. The first powered biplane was called “The Flyer”, which included a propeller, weighed 200 pounds and produced about 12 horsepower. 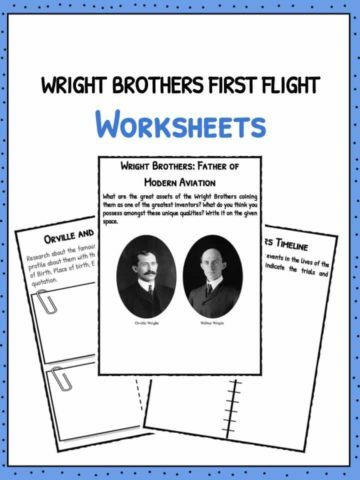 This is a fantastic bundle which includes everything you need to know about Wright brothers across 23 in-depth pages. 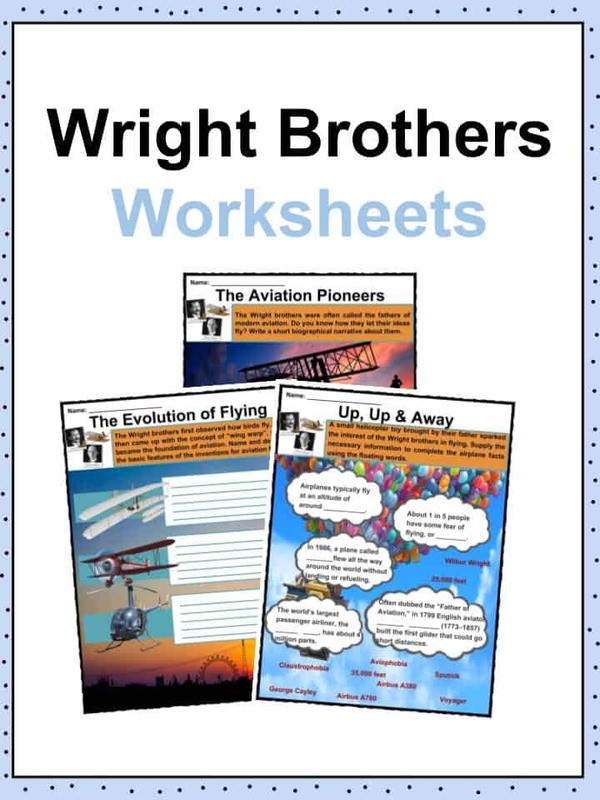 These are ready-to-use Wright Brothers worksheets that are perfect for teaching students about the Wright brothers, Orville and Wilbur, who were two American brothers, inventors and aviation pioneers who invented and built the world’s first successful airplane and made the first controlled, powered and sustained heavier-than-air human flight, on December 17, 1903.